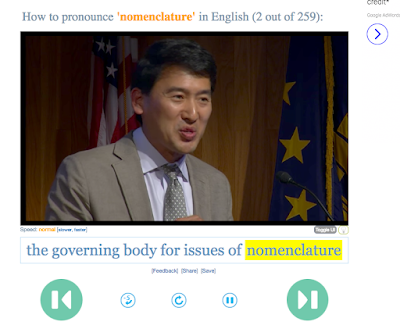 This is a marvellous tool that enables you to use YouTube as a form of pronunciation corpus. You can type in a word or phrase to the search engine and it will find a series of videos where that word or phrase appears along with subtitles. This is a great way to find examples of words in context and to hear the pronunciation of those words. You can choose between US, UK and AUS sources and also get a direct link to the part of the video where the word occurred and share it with students.There's even a small tool to slow things down if you feel that helps. You can use the green buttons to skip forward to the next clip or back to the last one. This makes it easy to hear lots of examples in context quite quickly. 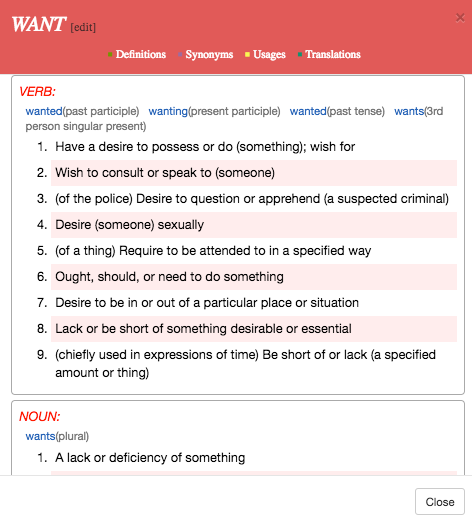 You can even click on the words in the subtitles to get a dictionary definition. The site works in the browser so should work across platforms and on most mobile phones and tablets too. There's even a widget that you can embed into your site or blog. This is a great way to get students comparing different accents, as well as finding pronunciation models for words they want to learn and showing the word in context. You could also use it to focus on homonyms and homographs and see if they can pick out which version of the word appears in the video. Just as with a normal corpus it's also great to use to show differences in usage. Compare here the difference uses of operate on and operate in. 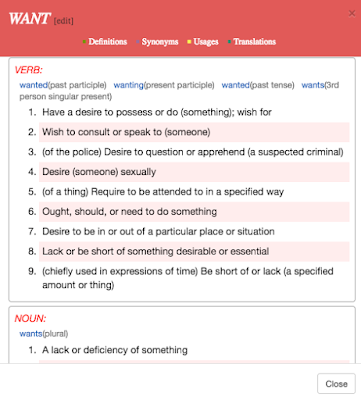 YouGlish is a great tool to get students thinking about how words are used in context and how they sound.